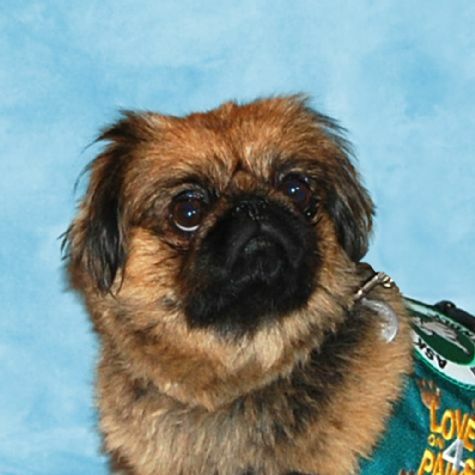 Chewy the Pekingese joined his family in November of 2009 and lives with his mom and dad and doggie brother and sister. He is very outgoing and loves to make new friends. He will love you forever if you give him a belly rub or maybe a lick from your Popsicle! Chewy's favorite activities are chasing his big brother around the yard, going on walks, stealing his mom's shoes, going to work with his dad, and visiting people at the hospital, of course!